“An outcomes-based Code of Practice for both commissioning and providing Technology Enabled Care Services, who’d have thought it? And it’s fabulous! Commissioning; there is no great mystery to it. In plain English, it is buying stuff. In the more elegant language of healthcare, the right people providing the right services, in the right place for the right people. It is trickier than you’d think. Healthcare is notoriously complicated. It is a whole-system. Fiddle with one bit and you disturb another bit. Change something and run the risk of making a mess someplace else. Commissioners have to regularly cope with this complexity. Quite how they do it, I will never know. An added dimension is a more recent addition to the commissioning repertoire: Technology Enabled Care Services, now commonly called TECS. Technology is not a bolt-on or an addition. It is at the heart of modern health and care. This fabulously well-thought-through framework and Code of Practice puts the patient and service user at the heart of decision making and helps the commissioner, and the provider, through the complexity of it all. 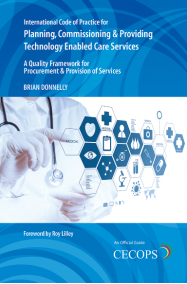 I congratulate Brian Donnelly on his tireless work in this, often, Cinderella part of health and care. He moves it front and centre with ease. Pages of common sense, technical guidance, help and, the best part, all outcomes-focused. Emphasising the involvement of stakeholders, users and carers, this is more than a Code of Practice; it is a map, a guide and a chaperone. It is thought-provoking and a source of inspiration. Telehealth, telecare, apps, and digital technologies in health, social care and housing sectors have so much to offer patients, residents, relatives and carers. New approaches emerge, what seems like, every day. What works, what doesn’t? How will we know? What is essential and what is a gimmick? What might we dismiss and come to regret passing over? This Code of Practice gives us the baseline for making assessments, a foundation for making decisions and it helps the commissioners and providers with the groundwork to get it right, first time. To date, the lack of a reference point may have been a disincentive to put our faith into new technologies and, perhaps, contributed to a slow take up of and engagement with the tools, devices and equipment that may not only be of huge benefit to patients and residents, but also contribute to health and care organisations’ drive towards innovation and efficiencies. This well-researched Code provides an end-to-end solution, from early planning to post-implementation, as well as a reassurance that innovative projects can be implemented on time and with success. It is a thorough and complete piece of work and advice that, I am sure, will become a welcome reference point for commissioners, providers and people receiving services. If I were to sum up the Code in a couple of words, I would choose: quality and continuous improvement. 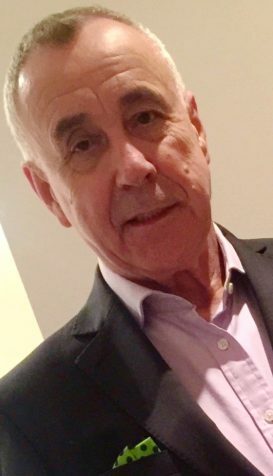 Roy Lilley is a leading analyst, writer, broadcaster and commentator on health and social care in the UK. Roy is the Founder of the Academy of Fabulous NHS Stuff, www.fabnhsstuff.net, a repository which has become a social movement and is seen as the change platform for the NHS and Social Care. Roy is also the publisher of an e-newsletter for NHS managers – see www.nhsmanagers.net.